[https://discord.gg/WhyNwyb <span style="color: #9eb8ee">Diana TES Goth on Discord:</span>] Link to Diana TES GotH live chat discord server. [https://wiki.nexusmods.com/index.php/User:DianaTESGotH/Changelogs <span style="color: #9eb8ee">Changelog:</span>] Allows you to view revisions Diana TES GotH has made to the guides and tutorials hosted by Nexus Wiki. :• '''BSA''' - Bethesda Softworks Archive. Sort of like a .zip file, but specific to Bethsoft's games, and optimized (sort of) for their specific usage. :• '''ESM''' - Elder Scrolls Master. Usually saved as a .esm file, which has the same format as a .esp file, only one bit (as in, one bit of a byte) is different. :1. Navigate to the directory the games are stored in (for most users this will be \Steam\steamapps\common). :2. Create a New Folder naming it Oblivion Mods (or Skyrim Mods). This will be where you will store your downloads and repackaged mods for future retrieval, if needed, saving time and effort later. This will also be where Wrye Bash will retain mod files. Wrye Bash mod files will be located in the \Oblivion Mods\Bash Installers (or \Skyrim Mods\Bash Installers) . :2. Create a New Folder naming it Oblivion Mods (or Skyrim Mods). This will be where you will store your downloads and repackaged mods for future retrieval, if needed, saving time and effort later. This will also be where Wrye Bash will retain mod files. Wrye Bash mod files will be located in the \Oblivion Mods\Bash Installers (or \Skyrim Mods\Bash Installers). :1. Navigate to your Game\Data directory. :2. Select all folders and files. :3. <span style="color: orange">'''Optional'''</span>: De-select all files with a .bsa extension as these are simply already large archived files accessed by their repective plugins. :3. <span style="color: orange">'''Optional'''</span>: De-select all files with a .bsa extension as these are simply already large archived files accessed by their respective plugins. Related Documentation: [https://github.com/ModOrganizer2/modorganizer/wiki ModOrganizer2/modorganizer] GitHub Home page. :1. Leave the archive where it is. From M.O.’s Toolbar select the Install from Archive icon. From the explorer navigate to the mod. Double-click it. One of M.O.’s various install options windows will open. Install the mod accordingly. I prefer to not use this method as it’s easy to lose track of the archive and or accidentally delete it. :1. Leave the archive where it is. From M.O.’s Toolbar select the Install from Archive icon. From the explorer navigate to the mod. Double-click it. One of M.O.’s various install options windows will open. Install the mod accordingly. I prefer to not use this method as it is easy to lose track of the archive and or accidentally delete it. :2. The preferred manual method is to navigate to where the archive was downloaded to. Drag and drop the archive into MO2’s Downloads tab. Not only will the archive appear here but a copy will be added to your Downloads directory just as if you used MOD MANAGER DOWNLOAD. This option can be applied to any mod archive on your system regardless where you downloaded it from. :- OK is generally what you want to choose as it allows MO to seamlessly install the mod. :• Organize files and folders the same way that you would in windows explorer, by expanding the arrows then dragging and dropping items. :• Deactivate a checkbox so that none of the files or folders within it will be installed. Useful is a mod is packaged with multiple options. :• If you receive the error message No game data on top level, right click the Data folder with the checkbox next to it and select Set data directory. The error message should change to a Looks good message. :• If you receive the error message No game data on top-level, right click the Data folder with the checkbox next to it and select Set data directory. The error message should change to a Looks good message. 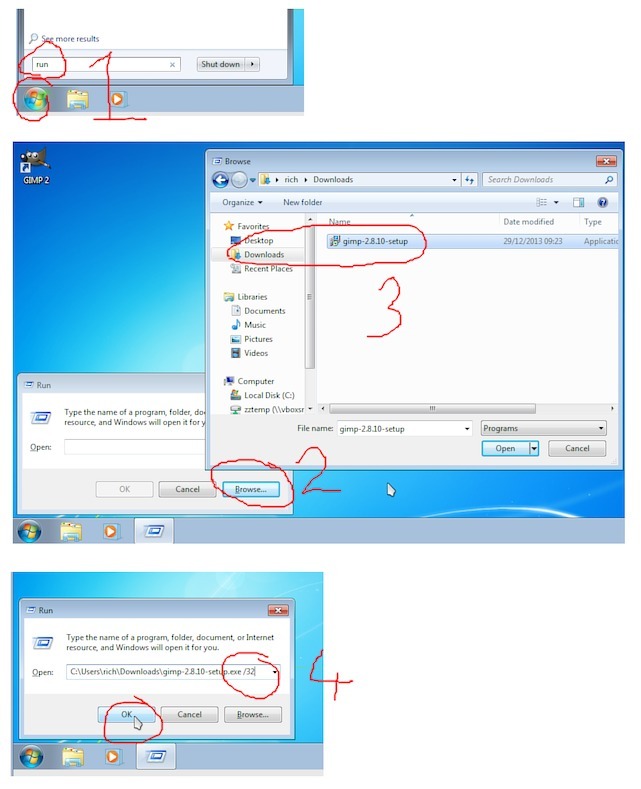 :• The other right-click options allow you to undo the Set directory and to create a new one, or rather a new folder, to organize things into by dragging and dropping items. :• At any point, select OK to install the mod or Cancel to cancel the process. :-With these mods you will notice the No game data on top level message. As previously mentioned right click the Data folder, the one with the checkbox, and select Set data directory. The error message should change to a Looks good message. :-With these mods you will notice the No game data on top-level message. As previously mentioned right click the Data folder, the one with the checkbox, and select Set data directory. The error message should change to a Looks good message. :-If it doesn't change expand all of the arrows and search for the proper top level folder to Set data directory for. Select OK to install. :-If it doesn't change expand all of the arrows and search for the proper top-level folder to Set data directory for. Select OK to install. :02: Fixes and Unofficial Patches are standalone mods that are rarely affected by other Mods but enhance/overhaul large parts of the game with minimal or no overlap. :02a: General Mesh Fixes are the foundation mesh and texure mods that are intended to generally improve the overall visual effects. These mods may be overwritten. :02a: General Mesh Fixes are the foundation mesh and texture mods that are intended to generally improve the overall visual effects. These mods may be overwritten. :03: User Interface are mods that edit non-gameplay features and\or on-screen visuals. :03b: Font Changes are specifically mods that change the Fonts or Font Colors. :25: Multiple Area Exterior Edits are mods that adds, modifies, disables, or Overhauls multiple areas in the world space. :26: Unique Items Added to Exterior/Interior Locations are mods that add unique items to interior or exterior locations without overhauling the landscape or navmesh. :27: NPC Combat AI Mechanics are mods that change the way NPCs interact and are effected in combat. :27: NPC Combat AI Mechanics are mods that change the way NPCs interact and are affected in combat. :28: Unique Followers are mods that add unique followers to the world space without changing the world space. :29: Quest Mods and NPC Additions with Area Edits are mods that add new quests well as Mods that add multiple NPCs to the world space or interior cells. ::[https://www.nexusmods.com/users/37318120 Dawnguard1000], [https://www.nexusmods.com/users/116151 dizM0nkey], [https://www.nexusmods.com/Users/3310747 mcshame], <span style="color: orange">Secreth</span>, [https://www.nexusmods.com/Users/8587453 TariCalaelen], [https://www.nexusmods.com/Users/14551604 valrenas], [https://www.nexusmods.com/users/25321034 Yggdrasil7557] and all the others who have been involved in helping to test, proofread, and assemble the Diana TES GotH guides and tutorials. :[https://www.patreon.com/ponyrider0 Ponyrider0] for hosting the [https://discord.gg/qRQp7gY The Morroblivion Community Help Desk] and for creating the Morroblivion Unofficial Patches, Morroblivion mods, and Open Source software used in the production of this guide. :[https://www.youtube.com/channel/UC5QEgx5BfcNAJKZl2zPA8Vg Yggdrasil] Modding for his most excellent and instructional youtube tutorials.